The 20th century brought a huge boon to the Irish city of Belfast. Thriving from its Harland and Wolfe shipyard, the largest shipyard in the world at that time, the city was at the forefront of engineering, ship building, and linen manufacturing. 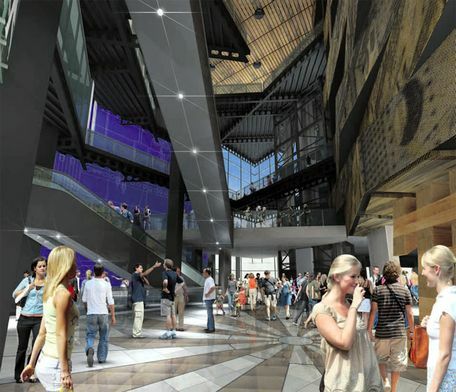 Visitors of the museum will begin by learning about these industries, and the conceptualization of the most luxurious cruise liner of its time. Offering answers to all of the questions leading up to the creation of the Titanic, the tour will give guests an idea of where it all started. During the first leg of the journey, visitors will pass through the actual gates of the Harland & Wolf shipyard. Designed to support the construction of the Titanic, the Arrol Gantry was erected in 1908. This part of the tour features a recreation of a large pillar found in the gantry (gantries are frames containing scaffolds at various levels, thus allowing for construction of large objects) as well as a Titanic ride that uses special effects to recreate shipbuilding during the 1900s. After the ride is complete, guests will witness the launch of the Titanic. With more than 100,000 people in attendance (one third of the city’s population), the historic launch of the Titanic occurred on May 31, 1911. Through a large window, guests will see the actual slipways where the Titanic and her sister ship Olympic once rested. 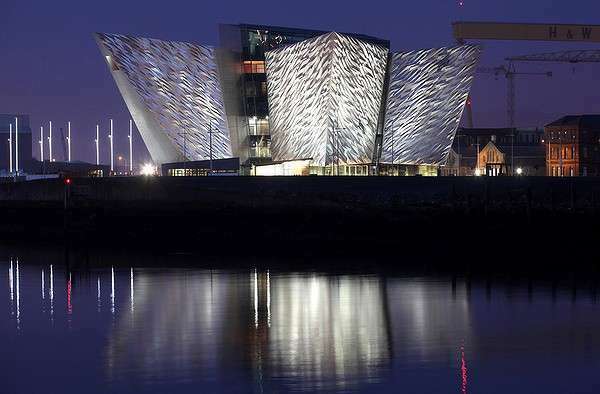 Using modern technology, the window is able to switch from a regular view to a superimposed view of the constructed Titanic. This creates a unique experience that allows viewers to see what the vessel would have looked at the site where it was actually constructed. Gallery four offers unique images of the interior including first, second, and third class cabins. In addition to being able to see what it would have been like to be a guest, individuals will also be able to view images of the engine room, working interiors, and more. Each image presents an extremely detailed view of what the rooms would have looked like and how the ship itself operated. After seeing the interior of the Titanic, museum visitors will be able to become acquainted with historical details of Titanic passengers during the maiden voyage, giving them an accurate depiction of the times. Departing from Southampton and destined for New York, April 14th, 11:49 PM marked the beginning of the end for the vessel. Colliding with an iceberg in the dead calm waters of the North Atlantic, the ship suffered a 300 foot long gash in its hull below the waterline. Two hours and forty minutes later, the ship sank to the bottom of the ocean, causing the death of more than 1,500 men, women, and children. The pure horror associated with the sinking of the Titanic is displayed in this gallery using atmospheric sound. Because the vessel was built by the British and owned by the Americans, the investigation of the wreckage was done by both sides. The cause of sinking as well as who to pin the blame on was heavily debated and is now presented at the Titanic Belfast museum. Details of the sensationalized news stories are presented using recordings, exhibits, and re-enactments of events. Myths and legends surrounding the Titanic are also covered using interactive touch screens which visitors can use to delve into greater detail regarding the fact and fiction surrounding the Titanic. 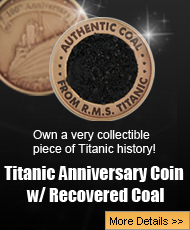 Now making its home about 13,000 feet under the surface of the Atlantic, the Titanic was rediscovered by Dr. Robert Ballard in 1985. Led by Ballard and French diving engineer Jean-Louis Michel, the team found the wreckage of the Titanic nearly two and a half miles down. 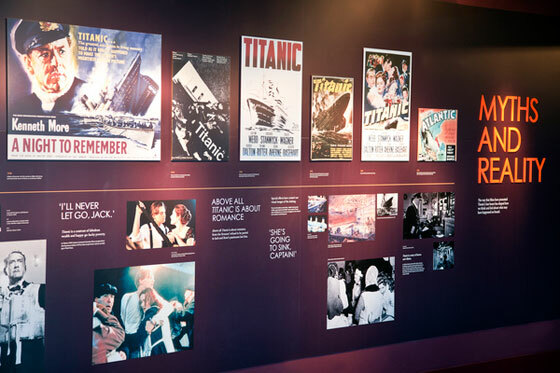 A special presentation ‘Titanic Beneath’ displays high definition footage of the wreckage as well as interactive displays filled with additional information regarding the shipwreck. Capping off the tour is the Ocean Exploration Center, which features interactive experiences with new ocean exploring technology. Included in the exhibit is Nautilus, a submersible used by Dr. Robert Ballard. Visitors are able to see how the ocean floor is mapped and the technology used to understand the ocean, seabed, and earth’s crust. One of the most current exhibits regarding ocean exploration, the center is constantly being updated and guests will have access to unique information regarding geography, marine biology, marine archeology, and the mapping of coastal areas.